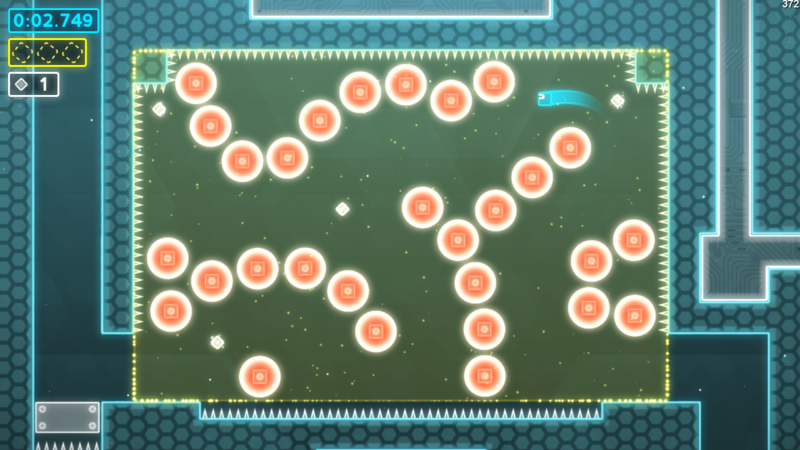 Post news Report RSS	Super Lumi Live - New level clear screen and replays! 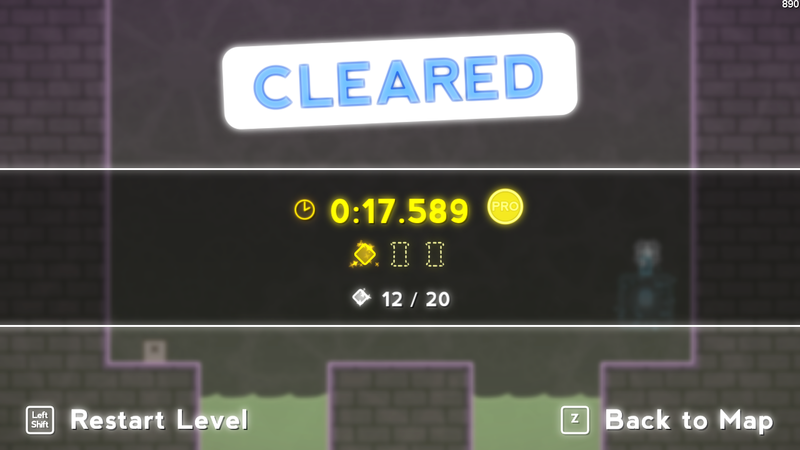 The old level clear screen was overdue for a redesign and I've added replays back into the game. Here's a quick update to show off the new UI for when you clear a level. It shows all the relevant information in a more structured and clear way compared to the old screen where everything was bunched together in the middle and looked a bit boring. 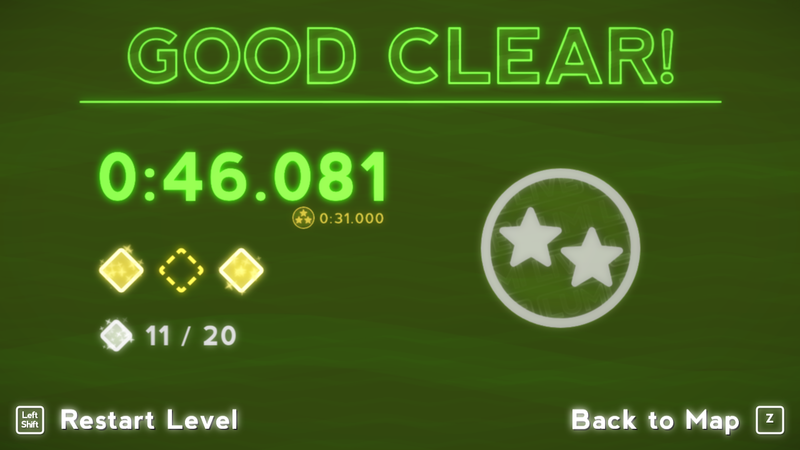 So the old level clear screen was overdue for a redesign and although the new one still needs some more polish, the new one makes much better use of the screen space and a big medal on the right really hammers home the focus on trying to get good times. As well as new UI, the award system has been changed so that now you get a 1 star medal if you finish a level in under 10 minutes (maximum time allowed for records but not gameplay) and 2 or 3 stars for clearing within set targets for each level. There are also other medals to obtain also but that's all I'm saying on that. 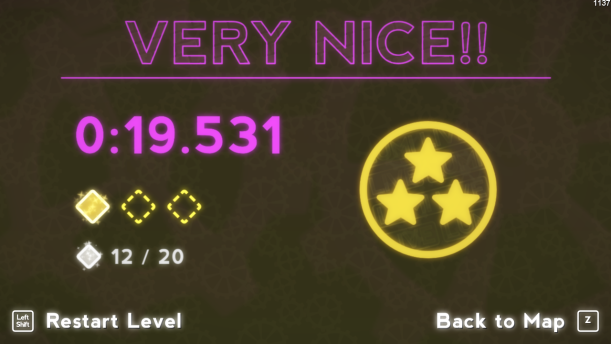 Finally, replays have always been a feature I wanted in the game and since I've made good progress recently in other areas, I've begun work on implementing it again in a more robust way while hopefully keeping file sizes low. So far it only records play throughs but eventually you'll be able to play replays on their own or have replays as ghosts play alongside you. I'll probably revisit the level clear screen after I polish up a few levels for a preview build coming out within the month. Next stop on the redesign train is the map screen and fortunately, it doesn't require much changing. It mostly looks and works great but it will need a little clean up so expect a post showing it off soon.